Internet Marketing has become huge in recent years and with more people working online for themselves or as a contractor for others the need to understand SEO and best practises can make or break your profit margins. A VPN service allows you to gain an advantage over the competition and understand what your potential customer base are searching for on a global scale resulting in reaching more of your potential audience. A VPN does this by allowing you to appear as if you’re in a different location by altering your IP Address and accessing that locations search engine information. How does my IP Address hurt my Internet Marketing? An IP Address allows websites to understand your location. No doubt you’ve visited Google many times and typed in search terms that you hope to target and that you assume your customers will also be typing. However when you visit a search engine such as Google it serves you up a localised version of the site and you’re often pushed to your country specific search site. If you’re in the UK and you visit Google.com you’re automatically pushed to Google.co.uk and so your searches will be tailored to not only the UK but also a localised area in the UK. So if you’re from the UK but want to know what potential customers in France or Germany are searching for then your research is useless as it’s likely they’ll be seeing completely different search results and having different search terms suggested. How does a VPN improve my Internet Marketing? The term VPN stands for Virtual Private Network and originally they were used by businesses to allow remote workers to access sensitive files. The purpose is to provide privacy and part of this privacy is allowing you to virtually alter your online location. The great news is a VPN can help you increase your ability in Internet Marketing and allow you to get an SEO advantage over your competitors giving you access to a little inside information. A VPN allows you to alter your IP Address to that of a different location or country and by completely encrypting your internet connection the search engines you use will think you are in that location so serve up a localised version of the search site AND most importantly search results. As an example, I searched for “what is the best tablet for” and let Google make a suggestion which will be based on most common search terms. I did this across Google.co.uk, Google.com and Google.com.au and below are my results. As you can see all three locations are interested in “for kids” and “for me” but Americans are also interested in “for the money” and “college”, British visitors “for gaming” and “watching movies” and Australians “for work” and “reading books”. This vital information allows you to target all niches and shows you what different regions hold important. 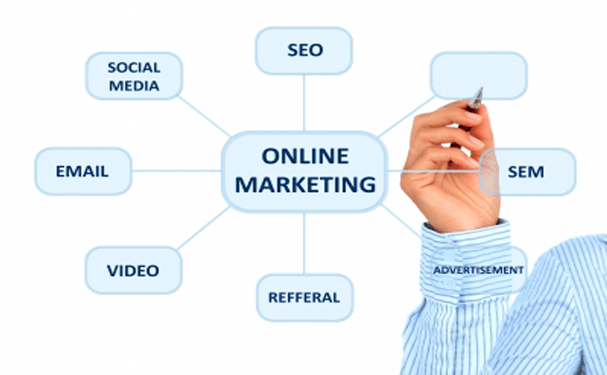 Essentially you’ll get to see into the mind of a customer or client based on their online view, search results and even the types of advertising that target that locality giving you a greater understanding on how to market your services or product. Trawling through the hundreds of VPN companies can be a time consuming task and sometimes you don’t always get a good deal for your money. I’ve put together a list of three of the best VPNs for SEO and compared their features. If you’re trying to market your business or improve your SEO the last thing you want to be doing is be bogged down with technical mumbo-jumbo. Too many companies make their services complicated and if you’re like me you just want to get on with improving your marketing and SEO. The great thing about IPVanish is they’re beginner friendly, their software and apps are just click and go. Download, Install, choose where you want to connect on their map and click. Simple! Unlike some other providers IPVanish offer software across the full range of popular devices so Windows, Mac, Android and iOS are covered allowing you to improve your internet marketing across your whole range of devices either at home, in the office or on the move. The best feature of IPVanish is their speed, they’re the fastest VPN provider I’ve tested which means you can connect to various locations, check out search terms and still feel as if nothing has changed. No slowdowns, no buffering and no annoying delays leaving you free to improve your internet marketing skills. To top off this overall well rounded package if you’re not happy then they have a full 7-day money back guarantee that they honour, unlike other some other providers. ExpressVPN makes a good choice if you’re after seeing what the world is searching for. ExpressVPN is a little bit expensive making IPVanish the cheaper option which is one of the major downsides of the ExpressVPN service. They’re also not quite as fast either. One area ExpressVPN make up in is like IPVanish they have a large range of locations to connect to giving you good internet marketing opportunities and they also have software which although isn’t as pleasant to the eye as IPVanish it is pretty easy to use. ExpressVPN has 24 hour live support so if you get stuck at all then it’s quick to get issues resolved although as they have Windows, Mac, Android and iOS software it’s unlikely you’ll need to call on assistance too much. Overall ExpressVPN offers a reliable connection and with a 30 day money back guarantee there isn’t a lot at stake. However, if you’re after a faster and easier experience it’s best to go with IPVanish. I wanted to love HideMyAss but, unfortunately, their speeds are just too slow to be useful. While you can browse the web easily enough it seems to be plagued by buffering and annoying hangs making internet marketing a bit laborious. If you want to watch videos or anything else then you may as well forget it as HideMyAss certainly don’t live up to the fast speeds of IPVanish. HideMyAss provide software for Linux which is a bonus as not many other VPN providers do and while they have software for Windows and Mac I find it a bit of overkill. With too many dials and settings, it’ll be complicated and confusing for the beginner. Their Android and iOS apps are rather nice though, just a shame their desktop software doesn’t match. HideMyAss are a popular service and while they do have some positives they aren’t nearly as easy to use or as fast as IPVanish. As they cost slightly more than IPVanish and aren’t as reliable as ExpressVPN they’ll certainly need to improve to get my business. To get an edge in SEO and online marketing a VPN is vital. It will allow you to better understand your current visitor base and also gain an advantage to understand potential visitors or customers that you could be currently losing. Knowing the search terms and how overseas localised versions of search engines like Google work can really boost your conversion rates and if you’re a small business this could see your profits increase quite dramatically by targeting specific areas or countries correctly. All you need to do next is load up your web browser in InPrivate or InCognito mode, connect to your VPN and start delving into a new world of understanding customer search terms and how to better target products, articles and paid advertisement.